Platinum is an Element. 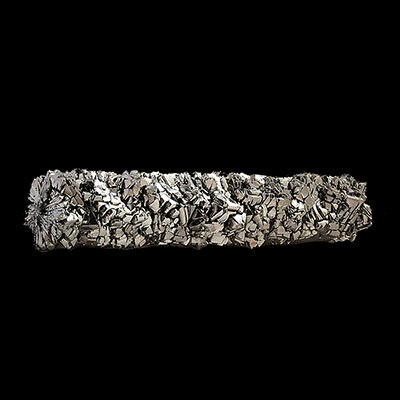 It comes in massive and occasionally crystalline form, with color ranging from grey to silver. This mineral is readily available, though rarely in crystalline form. 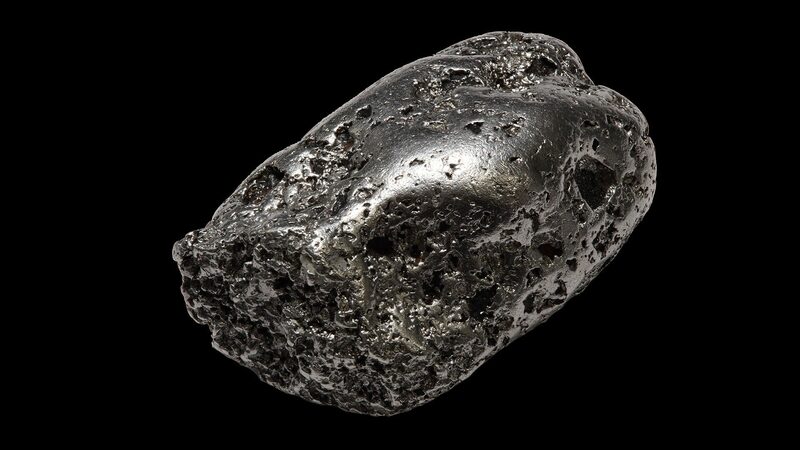 Read more about Platinum healing properties information and view the photo galleries below. Platinum is a metal of transformation. It allows one to break preconceived boundaries and achieve the maximum success in any given endeavor. 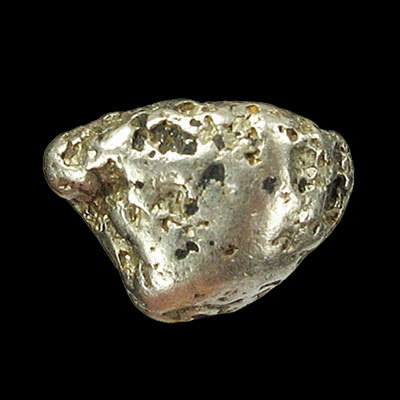 Platinum is useful to utilize in conjunction with high vibrational transformational crystals. It helps one absorb those higher vibrations at a physical level, so we are better able to put the energy to work in bringing creative visions into the physical world! Using Platinum in meditation helps us integrate new ideals and energies into our lives. It keeps one focused and determinedly working towards full and lasting integration. 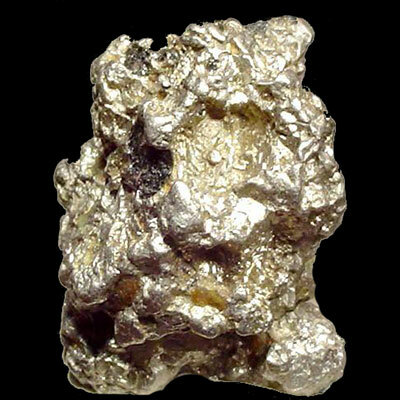 Used in elixir form, Platinum alleviates depression and helps one regain memory, particularly memory that has been lost to one being either shocked, and/or overwhelmed. At the cellular level, it can align the spine, help regenerate heart tissue and boost the immune and endocrine systems.Platinum also boosts the bodies electromagnetic network of nerves and the synapses to the brain. 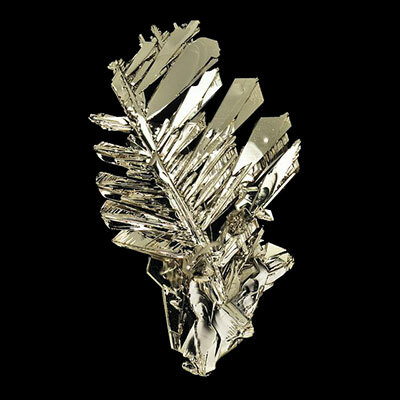 Click the Platinum Crystal below for a high resolution photo! Do you have a personal experience, question or information pertaining to the crystal healing properties and meaning of Platinum? Please feel free to use the comments form below to share your knowledge with the Crystal Information encyclopedia. Please note, we moderate this feature to keep the site free from unwanted spam. For the last few years, I have been wondering whether there is any connection between wearing platinum rings on my ring fingers and Dupytren's Contracture? I have this disease in my hands and have had numerous operations now. Interestingly, the only unaffected fingers are my ring fingers, usually, the first to be affected. Hi Suzie, Thank You for sharing. Yes, you are correct that the ring fingers are usually the first to be affected, so anecdotal evidence certainly points towards platinum possibly having a positive effect with this condition. You could consider purchasing additional rings for the affected fingers? I was told that wearing platinum as a wedding ring would lead to divorce within 2 years. As I thought harder about relationships that ended in divorce it seems to be true but I can't find anything with Google to back it up. Thank You for your question. I personally have not heard of this, and do not feel Platinum is the reason for marriage breakups. It pretty much goes completely against the energy platinum brings to the table. I’m “guessing” at best, but my feelings are that as Platinum has gained popularity of late as the material of choice for wedding bands is the more the reason why it possibly seems to be a “guilty by association” partner to marriage breakups. As modern life progresses with all it’s associated distractions and barriers to conducive communication – this as much as anything is leading to the break downs within marriage. I’m thinking along the lines of societies obsessions with social media, having ones attention buried constantly in a smartphone would be a much more likely cause than a Platinum ring – in my humble opinion! Outstanding material. Exactly how could I subscribe to crystal-information.com updates? I do not have a newsletter system set up as yet, will look into that and maybe RSS feed notifications in the future. Thank You for your comment!